What happens when two IITians decide to save some power together, or at least, take a step in that direction? You get BijliBachao.in, an online forum to tell you how to do precisely that - save electricity. The brainchild of Abhishek Jain and his wife Manisha, this venture is a comprehensive guide on everything related to cutting down on energy consumption in your house. “I was working with Deloitte in the US, while my wife was an energy auditor there. I was interested in the work she was doing, plus there’s a lot of related work going on in the US because there’s a huge push for energy efficiency,” explains Jain, an alumnus of IIT-Bombay. “While there are a lot of energy-related rules and regulations in the US, it makes a lot more sense to focus on something like that in India because here, there’s a huge demand- supply gap, with these power grid failures,” he adds. Coming back to India and setting up a house in Mumbai only propelled his fascination further. “We took a lot of care about where to place which appliance in the house, because even that makes a difference. 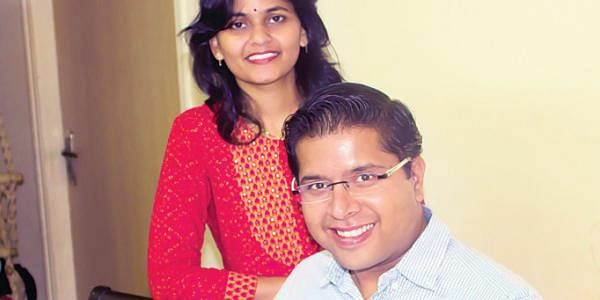 We started figuring out our own electricity bills and realised our neighbours were spending more than us,” says Jain. That, coupled with a keen interest in Manisha’s work, who is an M.Tech in energy systems from IIT Bombay, finally sealed the deal and Bijli Bachao was born. “We wanted to start something for residences; there are already resources for industries and commercial set- ups, because sustainability is a big word right now,” he says. A look at the website, which boasts of over 2,000 visitors a day, tells you everything you need to know about slashing those electricity bills. One section tells you about the most energy-efficient appliances to buy, while another gives you the latest scoop on tariff rates and power supply in various states in the country. Additionally, success stories and tips from other users, streamlined information from government websites and interesting facts appear to be equally intriguing. The most popular feature on the site, however, is the online electricity bill calculator. “We created a residential calculator, which gives you a rough pattern of how your electricity consumption is divided. What a lot of people don’t understand is that as your energy consumption increases, your tariff slab increases as well. Understanding how you’re using your resources helps you to cut down on your usage,” elaborates Jain. The site is only going to grow with time, but right now, the couple is happy with this level of progress. “Out of the 2,000 people, if even 10 or 20 understand their bills and consumption better, and cut down on it, I’ll be happy that Bijli Bachao managed to reach out to them,” he concludes.